87000 Series Wood Laminate Tabletop features 1-1/4" thick laminate surface. Top and base are sold separately. 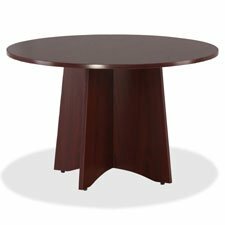 KFI Seating Round Black Base Pedestal Table with Top, Mahogany, 42"